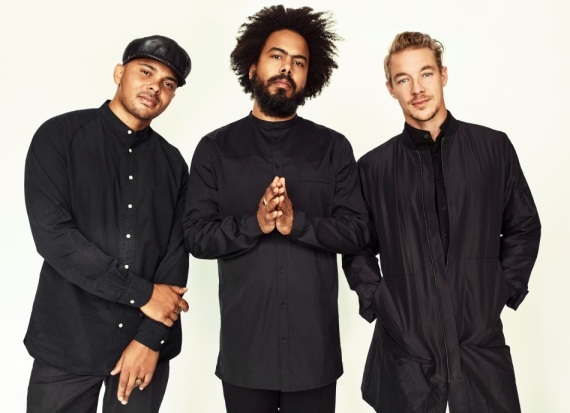 International superstars MAJOR LAZER - the collaborative project of Diplo, Walshy Fire and Jillionaire – today release the official video for their brand new single ‘Blow That Smoke’ featuring Swedish pop sensation Tove Lo, out now via Because Music/Mad Decent. Conceptualized by Tove Lo, the video was directed by DAD (Camila Cabello, Gallant, Alina Baraz), the director duo of Grant Spanier and Corey C. Waters. Combining sun-drenched West African guitars with the band’s trademark massive hooks, the track is a blissful slice of Afropop guaranteed to follow ‘Cold Water’, ‘Lean On’ and ‘Know No Better’ as the band’s next big anthem. Meanwhile, Tove Lo is one of the most prolific artists to emerge from Scandinavia in recent years, having accrued over a billion Spotify streams and featured on tracks for the likes of Charli XCX and Coldplay. It’s been a whirlwind few years for the band that has seen them cover the likes of NME, The Guardian and Mixmag, headline major festivals across the country such as Lovebox, Bestival and the Other Stage at Glastonbury (where they played to over 75,000 eager fans) and release countless platinum singles. Never keen to rest on their laurels, the band have grown have to become one of the world’s few truly global live acts. Truly embodying the spirit of global pop, the band have recently finished a tour of Africa, including dates in South Africa, Malawi, Kenya, Ethiopia and Uganda while also partnering with VETPAW (Veterans Empowered to Protect Africa Wildlife) to combat poaching in South Africa and beyond. With recent dates everywhere from Las Vegas to Haiti, we well as landmark, historic shows in Pakistan and Cuba (where the band played to over 400,000 fans), the band have continued to push boundaries in bringing the Major Lazer sound and mission - to make the world smaller by making the party bigger - across the world.